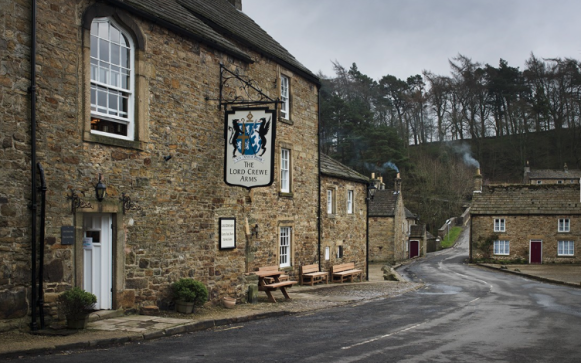 Part of the ever-reliable Calcot Manor stable of fine country pubs and hotels, The Lord Crewe Arms is a gorgeous gastropub in the picturesque medieval village of Blanchard on the border between Northumberland and Durham. Originally built in the 12th century as an Abbot’s Priory, the building has undergone many reinventions since then, the most recent being a stylish refurbishment to get it up to the Calcot standard. Think tweedy cushions, huge glass lanterns, giant log baskets and sink-into leather sofas. As comforting as you could want a country pub to be. Eat: The Lord Crewe has a vaulted, atmospheric bar brimful of fabulous Northumbrian ales, traditional stouts and crisp ciders, as well as a range of decently priced good wines. There's also a smarter selection of “French and Serious” wines. Relax here and nibble on excellent bar snacks or head for one of two restaurants. The Larder is the more relaxed spot, where dogs are allowed to join you. While the Bishop’s Dining Room is smarter and dog-free but serves the same menu. The food is British and nostalgic (think hocks, shins, shanks and neck), with dishes driven by the seasons and making good use of the pub’s very own kitchen garden and smoke house. You can even order meat roasted in the medieval fireplace, on a spit. Sleep: The rooms are all luxurious and chic, with designer headboards, chrome and roll-top baths. Of 21 rooms and suites, the ground floor rooms in The Angel opposite the main hotel (a separate building but part of The Lord Crewe) and in the separate Miners’ Cottages next door all take dogs. The suites in the cottages are glorious and well worth picking if your budget stretches that far. Each of the cottage bedrooms has its own front door and there is a special dog and gun room with a big sink and drying facilities for muddy dogs and boots. Walk: When you’ve had your fill of all this gorgeousness, you must remember to exercise the hound. And what choice there is. The whole of the Northumbrian landscape is a dog’s paradise, with miles of open countryside and many footpaths to follow. From The Lord Crewe, simply head straight out of the door and along the river Derwent – a great off-the-lead circular walk through woodland, with plenty of space to chase about. Or you can explore the nearby Pow Hill Country Park, which is a lovely area with marked trails across moorland, through woods and alongside the Derwent reservoir.